Well apparently I took a break from the blog! My bad! To be fair, nothing much has been happening over here as of late. Just spending every day with my little bundle of crazy toddler and loving almost every minute of it. 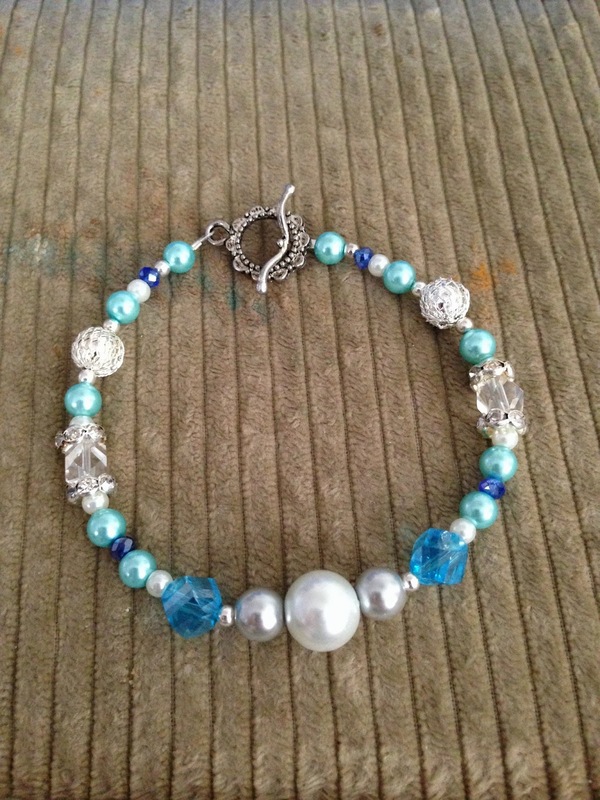 (Come on, there ARE some bad times) Thanks to everyone for entering the Eden's Garden Boutique giveaway! Kaylee is such a sweet girl and she deserves all the support she can get ;) So I got a calling in our new ward! I'm the Activity Days leader and teacher for the 10/11 year old girls! And quite frankly I'm a little terrified. Hahahaha how sad! I'm just so used to little kids that I'm forgetting that I DID teach 4th, 5th, and 6th graders at one point in my "career" as an aide haha (can aides have careers??) I'm also excited to finally get out of junior primary (not that I didn't love those little ones) and be in senior primary! I've also realized that I'm SUPER rusty on my Articles of Faith haha time to catch up on those again. So I'm excited and nervous! I still kinda feel like I'm not old enough to teach them! But I'm ready to try it ;) Have I mentioned how much I love blogging and the networking? I love that I've made friends through it, and been able to do posts for some great companies! I'm hoping to soon be doing another collaboration with a great company!! I don't wanna jinx it so it's remaining anonymous for now ;) I'm also super excited for next Saturday's Crafty Pants Party thrown by the amazing Chrissy! I always love getting together with my blog buddies! Plus making a cute and fun craft is a bonus ;) Oh! 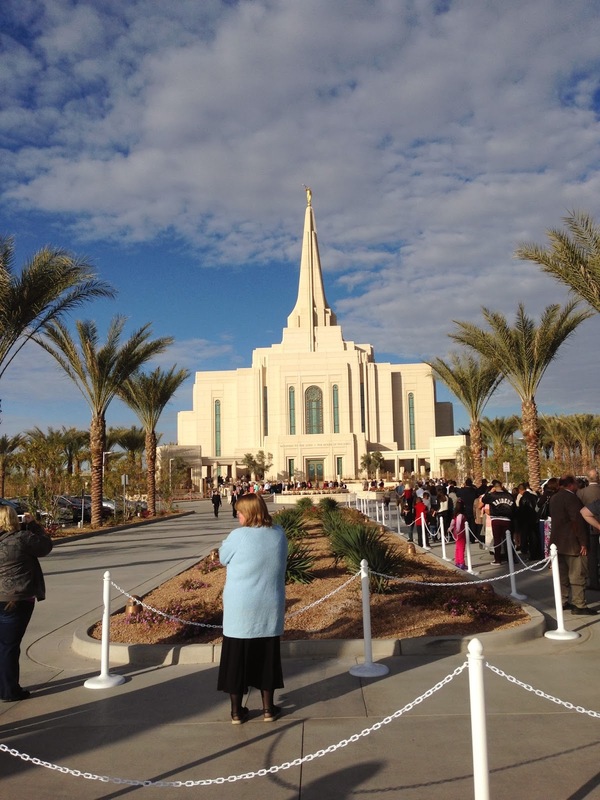 I almost forgot to mention the new Gilbert temple! We got to tour it last Saturday with my parents, Andrew's parents, and Andrew's Aunt Heidi and her family! It is sooooooo gorgeous! 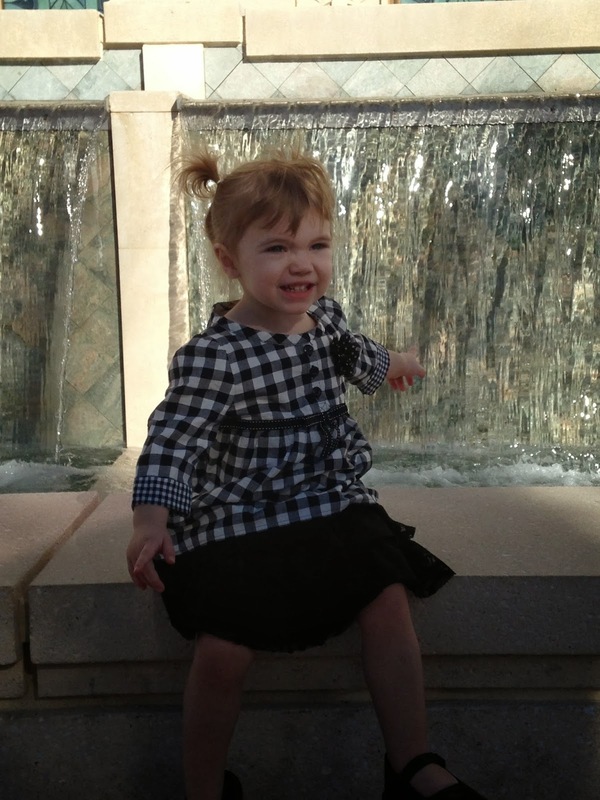 Rory LOVED the waterfall ;) She also loved the temple! She now asks to see pictures of it all the time hahaha and who knows? Someday this could be the temple she gets married in! 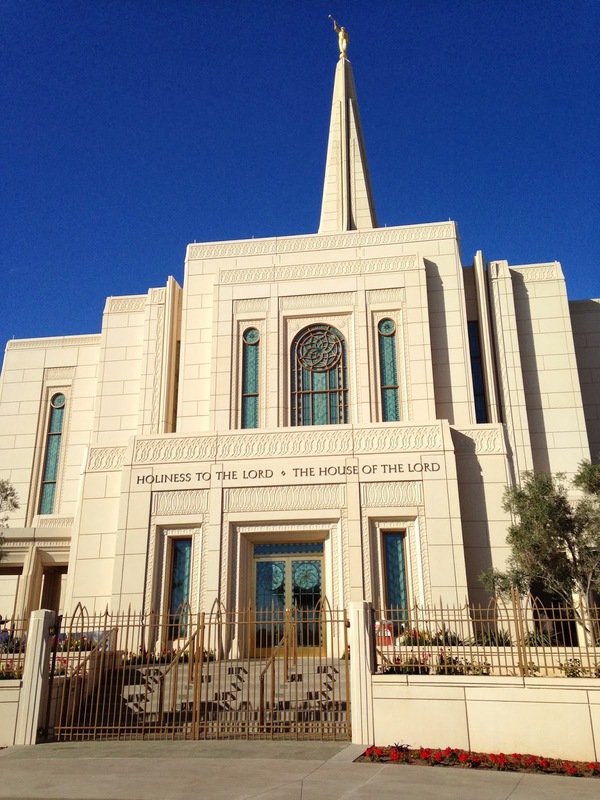 ;) If you're in AZ and want to go to the open house for the temple, it's still going til the 15th of February! And it's free and it's a wonderful opportunity to see the inside of a temple for those that wonder what it may look like! 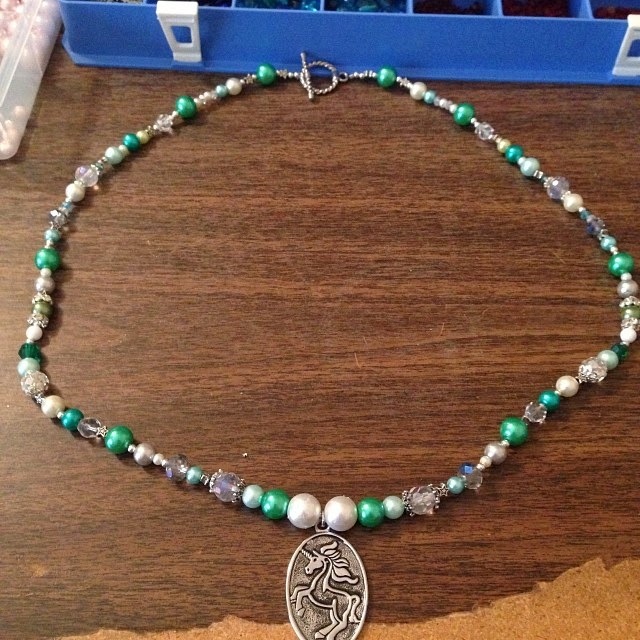 Oooo I DID start making jewelry again! I haven't done it in a really long time but my wonderful mom gave me all her supplies cuz she doesn't have time anymore, so I've been using it as my naptime occupation ;) It's so therapeutic and I love it! First, when did Rory get so long? Second, I love your new blog layout. 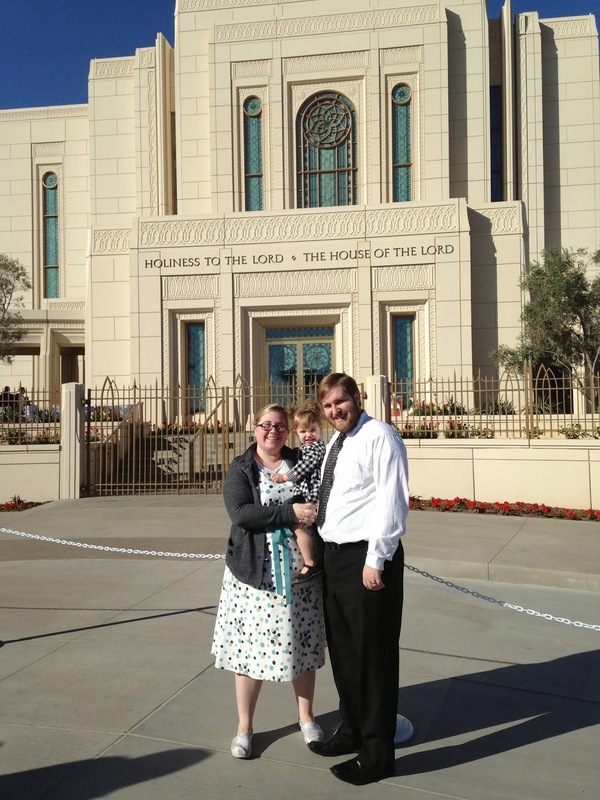 Third, I would love to tour the new temple! Fourth, I am the achievement days leader in our ward and I always come home so annoyed! It is not my favorite calling. Hopefully you handle it better than I do! Hmmm I wonder what sorts of exciting things you could have to talk about? Anyway... Rory is getting so big!!! !